Gorgets There are 21 products. 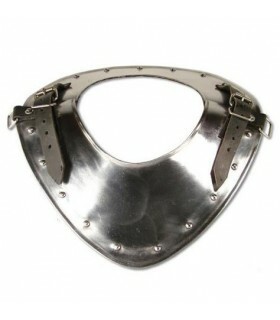 Medieval padded gorget with buckle. Made of 60% cotton and 40% polyester. One size. 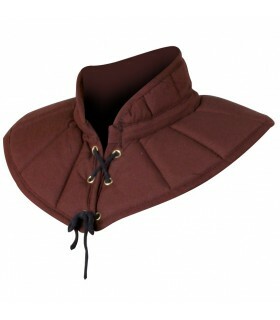 Medieval padded gorget with laces. Made of 60% cotton and 40% polyester. One size. 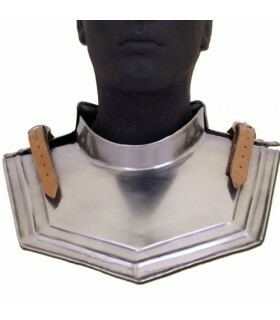 Epaulettes and Gothic gorget fully articulated, built to protect the neck and shoulders minimizing the revelation of the weaknesses. 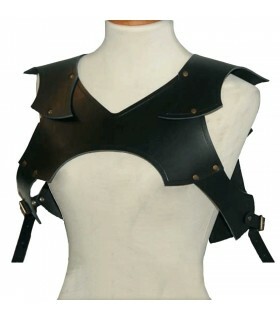 The armor is composed of 4 parts: 2 shoulder pieces and 2 pieces for the neck bind through leather straps. 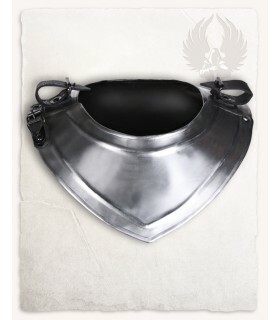 The design gorget and shoulder pads is inspired by the Renaissance. 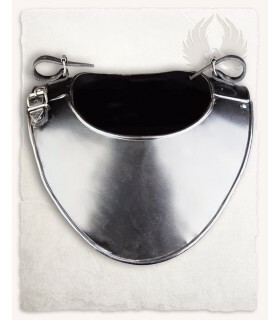 Georg medieval gorget made of steel and adjustable by buckles and leather straps. 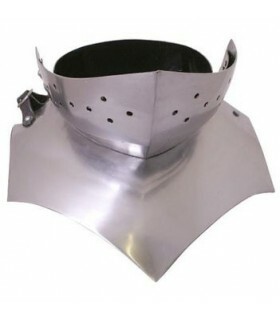 Gothic gorget of the fifteenth century made of steel and adjustable by straps. One size. The original is owned by the Royal English Armories and is displayed in the Tower of London. 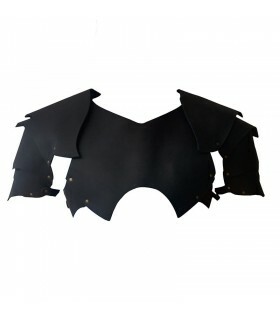 Leather pads made 1.8-2 mm thickness adjustable arms by straps. 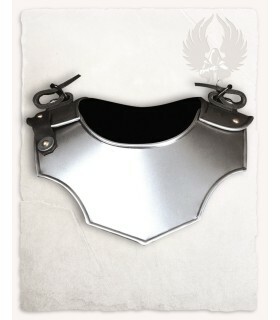 Gorget made of leather about 1,8- 2 mm thick to complement outfits. It is done in dark brown, tan and black, contact us. Pads made in a thick skin thickness 3,5-4mm adjustable arms by straps. It is done in dark brown, tan and black, contact us. 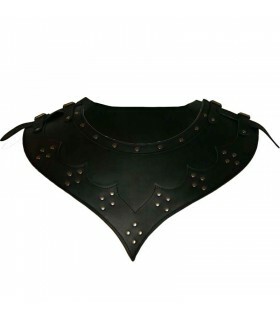 Gorget made of 3.5 mm thick skin and very comfortable, adjustable under the armpits with straps and pads ability to couple it. Conducted in Black, dark brown and light brown. For other colors on request. Gorget made of thick skin of about 3.5-4 mm thick to complement outfits. It is done in dark brown, tan and black, contact us. 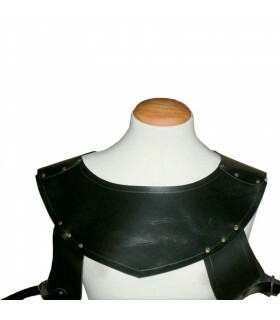 Leather gorget made about 1,8 2mm thick to complement outfits. It is done in black dark brown, light brown. 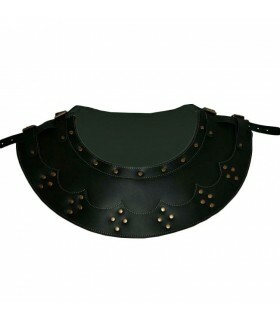 Gorget medieval festival held in calfskin about 2 mm thick and adorned with studs in old gold color. Crafted with genuine leather and top quality. 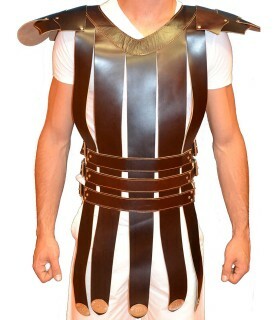 Roman Gladiator vest including flats and strips with self-adjusting belt buckles triple. Made of premium leather. It is standard size. 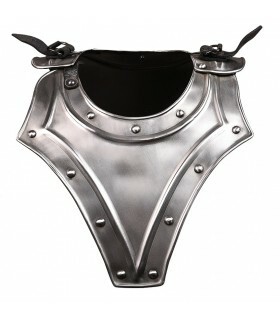 Gorilla of the fifteenth century made of steel and adjustable by straps. Includes 2 pieces; the front and back. 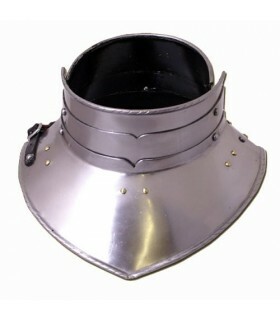 French gorget of the XIII century manufactured in steel and adjustable by means of belts. One size. The original can be seen in the Louvre Museum. 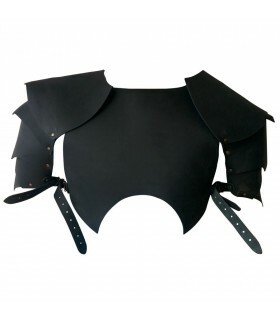 Gorjal medieval set Adam, made of carbon steel with a thickness of 1.2 mm Has a simple design that makes it fit with any kind of medieval armor. 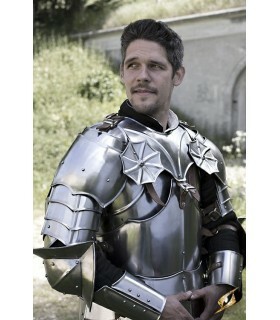 Gorjal medieval set Gustav, manufactured in carbon steel with a thickness of 1.2 mm Has a simple design that makes it fit with any kind of medieval armor. Gorjal Rider model Lena, made of carbon steel with a thickness of 1.2 mm Is adjusted by means of leather straps. 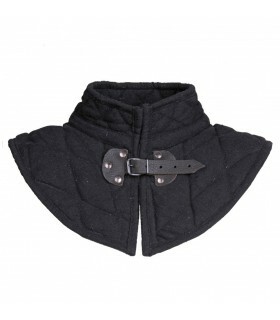 Protector for the neck of the Rider model Lena, manufactured in carbon steel with a thickness of 1.2 mm Is adjusted to the neck with a leather strap. 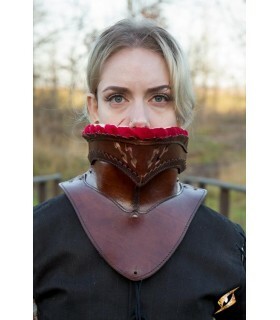 The gorjal noble Epic Armoury is a piece of leather armor hand-made, designed to protect the face and neck, inspired by the armor traditionally used during the medieval period. 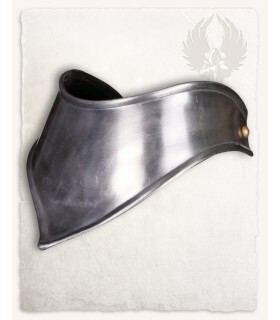 Shaped to sit comfortably around the neck and rest on the shoulders, the gorjal offers the best protection to the field of battle.